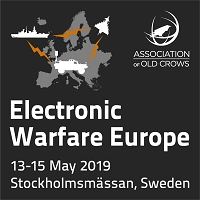 Hosted by the Association of Old Crows (AOC), EW Europe is the premier event to enhance networking between military leaders, policymakers and electronic warfare practitioners. The exhibition running alongside a conference allows visitors to meet with industry solutions providers and see demonstrations of the latest innovations and technologies shaping the future of electromagnetic operations capabilities including EW, SIGINT, Navigation and NAVWAR, Communication, C4ISR. With over 1,200 visitors expected in 2019, it is the perfect platform to meet international influencers involved in procurement, development, and operations from industry and military in one location.